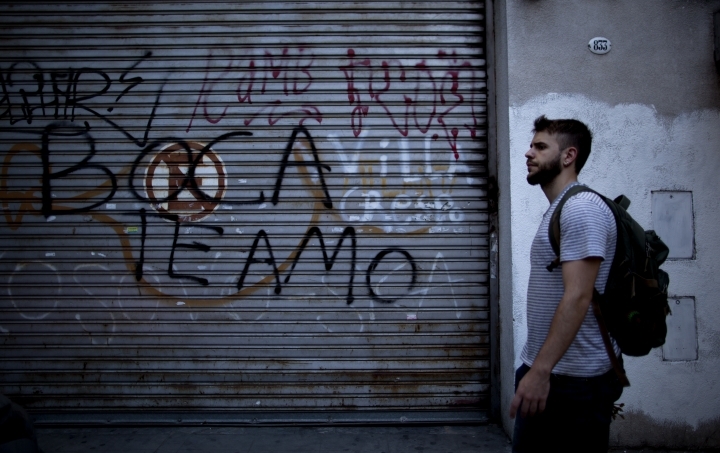 BUENOS AIRES, Argentina — They're calling it "The Game of the Century" and "The Final of all Soccer Finals." They're not wrong. The rivalry between Buenos Aires soccer teams Boca Juniors and River Plate ranks up there with the fiercest, most intense on the planet, and their regular "Superclasico" matchups create heated atmospheres that aren't for the faint of heart. The next two games, however, will be even more magnified than usual because the clubs will be facing each other in the final of the Copa Libertadores, South America's equivalent of the Champions League. "I get goosebumps just thinking about it," said Gonzalo Rodriguez Peralta, a 45-year-old River fan who was given club membership by his late father when he was born. "There's no explanation ... you only understand it when you're there." It's the first time that Argentina's two biggest teams will meet in the Copa Libertadores final. Boca has won the title six times since the tournament began in 1960, one behind Argentine club Independiente's South American record of seven titles. River has won it three times. "Boca and River have raised Argentine soccer where it has never been before," Boca Juniors coach Guillermo Barros Schelotto said. "Regardless of the outcome in these finals, we've put Argentine soccer at the highest level. Today, the whole world is talking about this final." 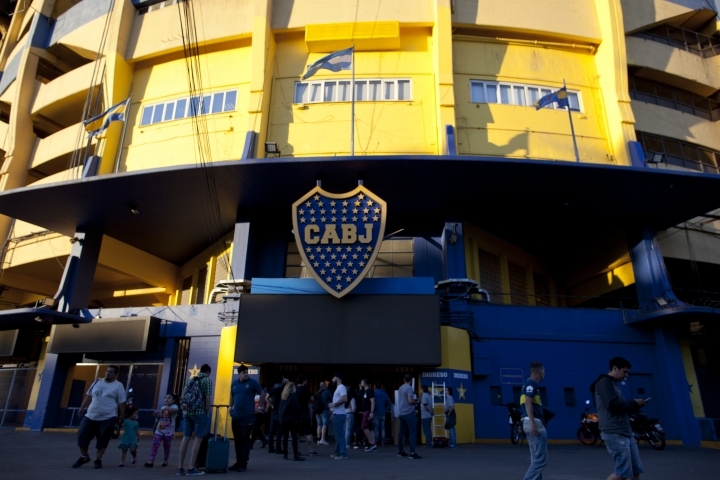 The first leg will be played Saturday at Boca Juniors' home stadium, an intimidating ground known as "La Bombonera" or "The Chocolate Box" for its tightly enclosed shape that looks like boxes stacked on top of each other. The second leg will be on Nov. 24 at River's Monumental de Nunez Stadium, where Argentina won its first World Cup in 1978. As is usual in recent years, visiting fans will not be allowed at either match because of the fear of violence. It's been that way since 2013 and not even a plea from Argentine President Mauricio Macri, a former Boca president, could change that. 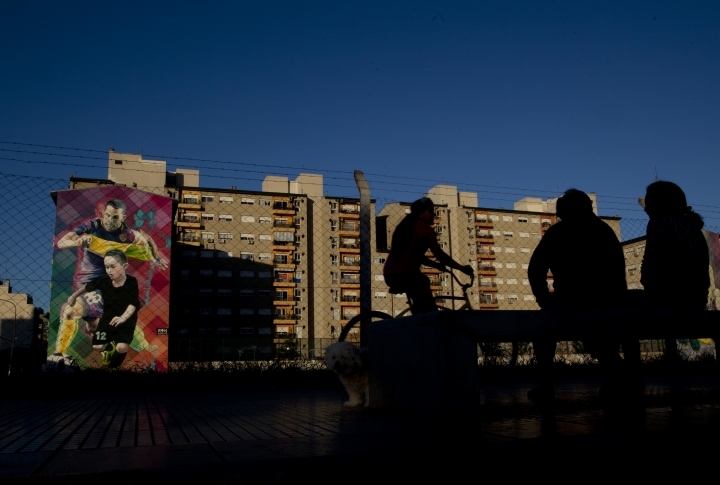 Argentina's most successful teams originated in the docks of the southern working-class Buenos Aires neighborhood of La Boca and their rivalry dates back to the early 20th century. Boca was founded by a group of Italian immigrants who chose the blue and yellow club colors after the flag of a Swedish ship that arrived in port. River, with its white shirt and diagonal red stripe, moved to a northern affluent neighborhood during the league's beginnings. The derby's gritty play, passionate fans and colorful celebrations was once ranked by British newspaper The Observer in its top spot of the 50 sporting things you must do before you die. Some of history's best players have come from Boca and River. Diego Maradona, who captained Argentina to the 1986 World Cup title, spent two stints at Boca and has his VIP seat reserved at the stadium. Playmaker Juan Roman Riquelme and prolific goal scorer Martin Palermo were part of a golden era when the club even beat all-mighty Real Madrid for the Intercontinental Cup in 2000. Although it's the first time Boca and River will play each other for the Copa Libertadores title, the teams have met in the South American competition three times previously. Boca won in the 2000 quarterfinals 4-2 on aggregate and in the 2004 semifinals on a penalty shootout. River won the 2015 round-of-16 match in 1-0 after tournament organizers eliminated Boca because of pepper spray spread by its fans in the second leg. "No one can erase what has been done," River coach Marcelo Gallardo said recently. "But now, it's a whole new story, one more page in this book. It will be up to us to continue being part of this history." Gallardo, a former River player, has restored River's pride since taking over in 2014, winning several championships and last year's Argentine Super Cup against Boca. "This is not one more game in the league. This is a final," Barros Schelotto said. "The only thing in my mind is to try to win these two games." Both coaches have plenty to play for. Besides gaining iconic status among the legions of fans for each team, the winning coach also would improve his prospects of taking over Argentina's national team. Gallardo will be at a bit of a disadvantage, though. He will miss the first match after being sanctioned by South American soccer's governing body for failing to follow a previous suspension that banned him from contacting his players during the semifinals. On the field, Boca's best-known player is forward Carlos Tevez, who appeared in two World Cups for Argentina and previously played for clubs including Juventus, Manchester United and Manchester City. But these days, the team depends on striker Dario Benedetto, whose goals helped the club reach the final. River striker Gonzalo "Pity" Martinez could be the one to watch on the other side. He scored in the last two matches against Boca and is expected to return after recovering from the flu. Other key players include midfielder Juan Quintero and Franco Armani, who is considered one of the best goalkeepers in Latin America. "The pressure is very high because the public is following closely and the result will matter to them. It will be remembered for many years because it is a unique final," said Oscar Mangione, a sports psychologist who has worked with Boca but is a devoted River fan. "It now depends on the players, on the coaches and how they deal with that pressure." "We're living a unique moment," Boca captain Pablo Perez said, "first because it's a final, and second because it's against River."